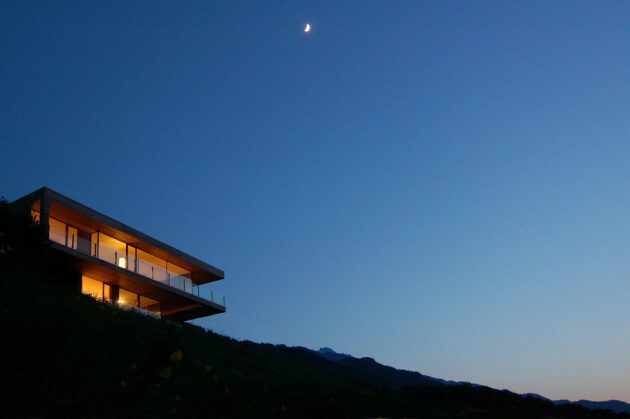 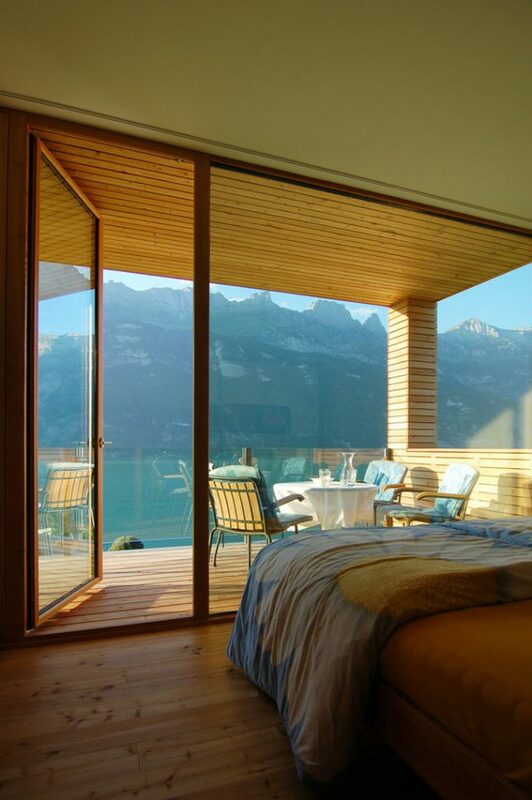 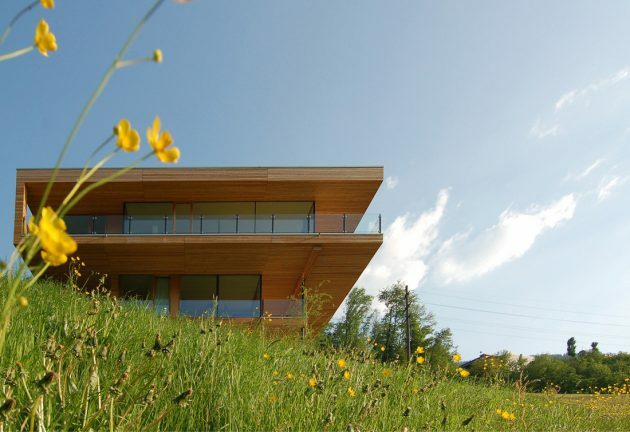 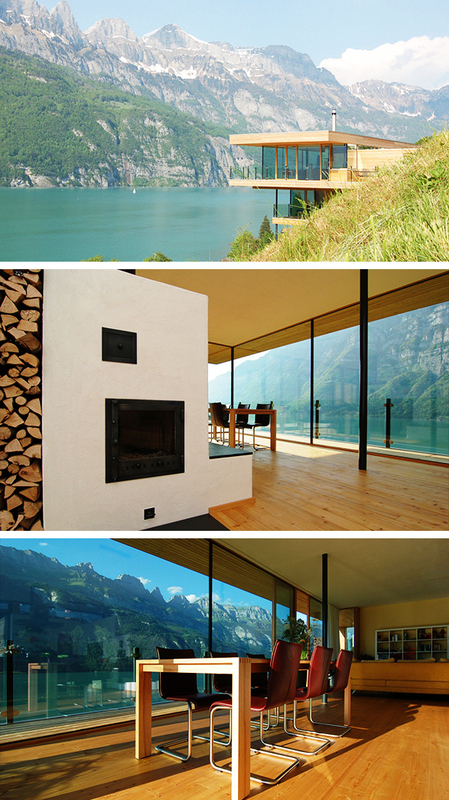 k_m Architektur have designed a delightful lake home near Switzerland’s stunning Lake Walensee. 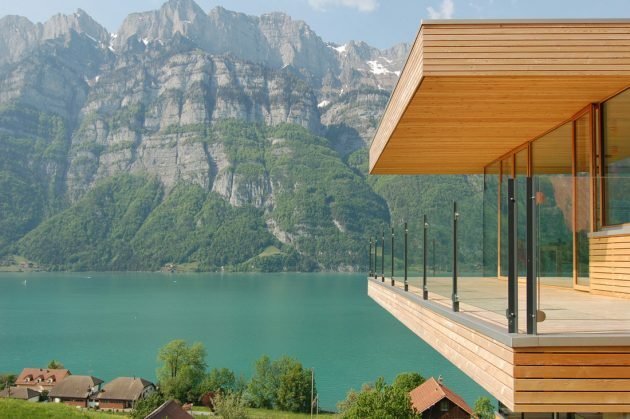 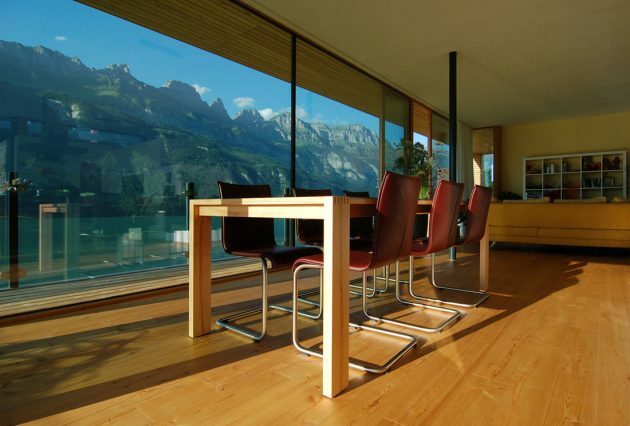 It is called the Walensee House because of its pristine lakeside position from which it offers impressive views of the lake but also of the stunning mountains that surround it. 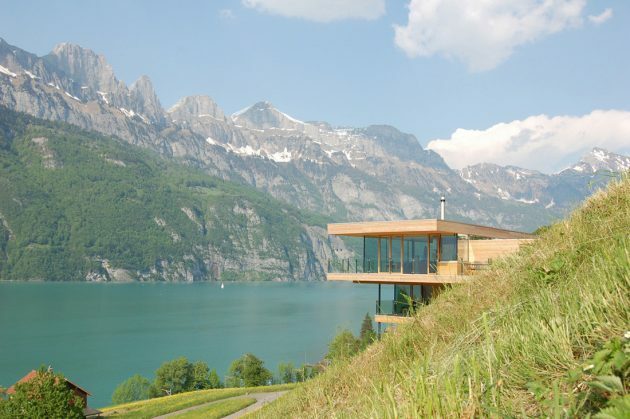 The architecture of the Walensee House is a modern take on the rustic look, blending it perfectly with the natural landscape. 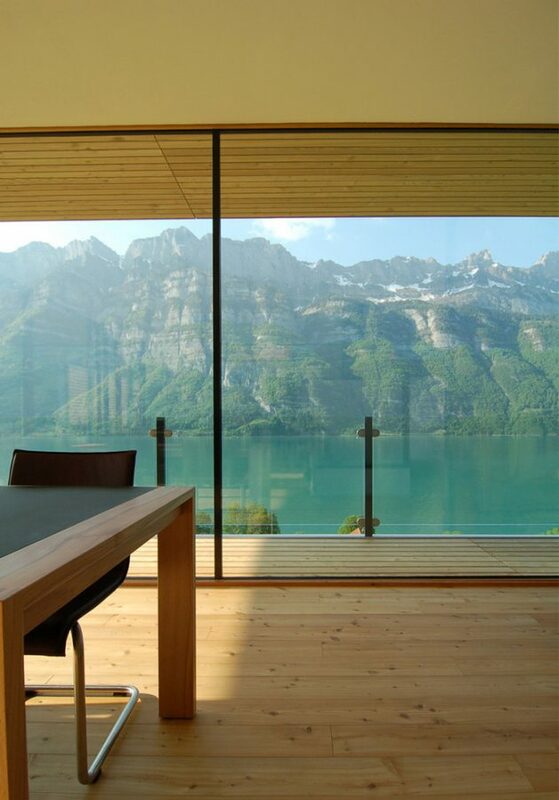 The location alone of this single family home in Unterterzen, with a clear view of lake Walensse and the mountains of Churfirsten is spectacular. 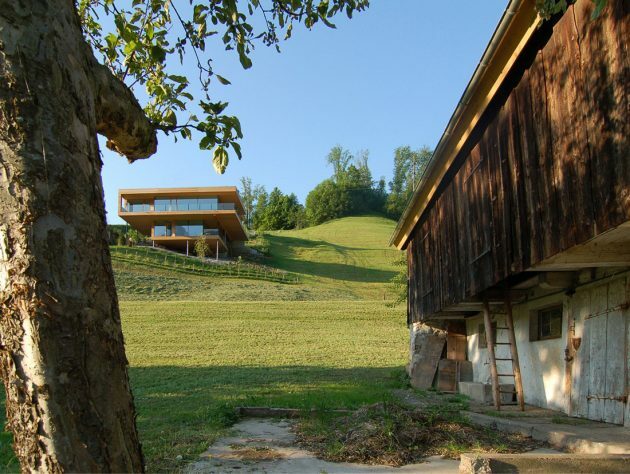 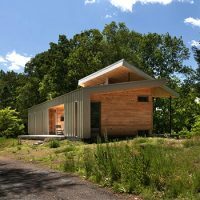 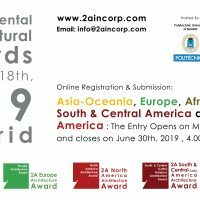 The property which is located on the slope of a green meadow offered the conditions to realize the floating design which captivates through its clear form and the use of natural materials using concrete, glass and wood as structural material. 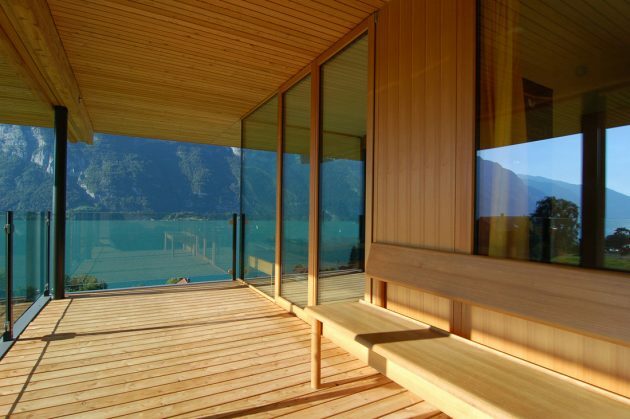 A loggia encircles the building on the water side, fulfills an open living space and creates a flowing transition between interior and exterior with a fantastic panoramic view. 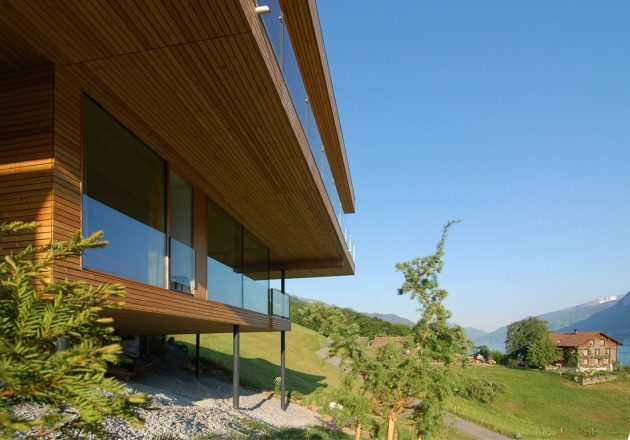 The effect is intensified by sliding glass doors as high as the room itself on this side of the façade. 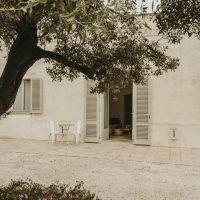 The back of the house appears to be more closed. 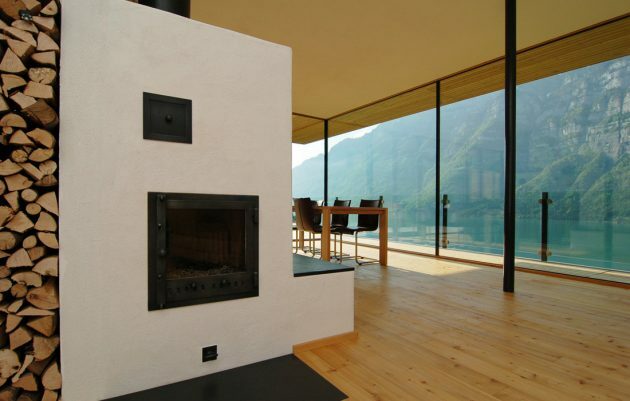 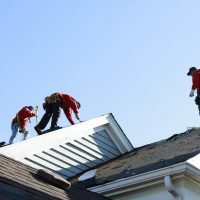 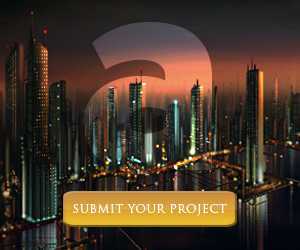 Rooftop photovoltaic panels and a stove in the living room produce most of the energy for the home.